Planning for retirement has never been easy, even for those with generous defined pension plans. You have rising energy prices and new taxes to contend with on one hand. On the other hand, the retirement years often bring an increase in health expenses. For instance, you may need to pay for supplemental health care if you have a chronic illness. Those aren’t the only challenges you face. What if your pension benefits suddenly change? In 2016, the Financial Times reported the average income of retired households has increased over 10% since 2008. In 2007-2008, the average income for a retired household was £19,262 – that figure has risen to £21,770. That’s good news for those who are retired today and drawing a pension. Since the 2010 decision to provide the “triple lock” pension guarantee, pensioners have been able to relax and move on with their lives. The triple lock guarantee states that state pensions will rise with the highest of: 2.5%, the inflation rate or earnings. In practice, this guarantee means living standards for retired households have held their ground. The good fortune enjoyed by retirees stands in contrast to the working age population. According to Office of National Statistics (ONS) data, non-retired households have suffered an income decline. In the 2007-2008 year, non-retired households obtained an average income of income of £28,817 in 2008, compared with £28,481 in 2016. That’s a 1.2% decrease! The picture is even worse when you consider that inflation has made everything more expensive to buy. According to the ONS, two factors are responsible for the growth in retiree incomes: state pensions and the performance of the investment markets. 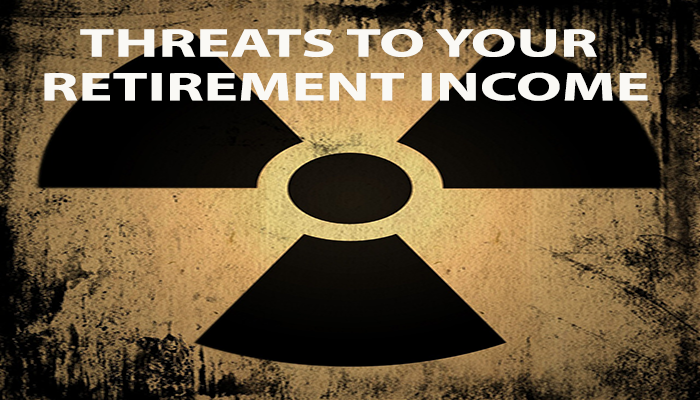 If one or both of these factors are reduced, your retirement income will start to suffer soon. State pensions are known for their reliability and security. The triple lock guarantee from 2010 improved the program to ensure that retirees were not left behind due to economic change. Unfortunately, a growing number of MPs and other officials are questioning the sustainability of the program. Is sustainability a real problem? According to the BBC, state pensions cost £98 billion pounds a year – a sum greater than the combined spending on national defense (£45 billion) and transport (£18 billion). Critics point out that current levels of pension payment impose a heavy burden on tax payers. Others point that paying generous pension benefits leaves less capacity for infrastructure, education and other public needs. What can you do to address possible cuts to state pension benefits? Political advocacy – writing to your MP, voting at every other opportunity, and other related activities – is one option. Unfortunately, progress is uncertain at best with this approach as so many factors are outside of your control. For instance, the government has the balance paying pension benefits with other priorities such as the NHS. The limits of the political system mean you may want to focus your effort on investments. Your personal financial and investment decisions make a tremendous impact on your retirement income. Some investors pulled all of their money out of the market after the 2008 crash and sat on the sidelines. That move may have felt good in the moment. However, it also meant that you have missed out on a tremendous amount of growth. If you’re uncertain about the markets, you’re far from alone. There’s nothing wrong with finding organizing your retirement income difficult. There IS a problem with taking no action. If you simply coast along and hope for the best, your retirement income will suffer. It doesn’t have to be this way. You can seek professional advice to put your retirement income back on track. 1) Prepare a summary of your current investment assets (i.e. a copy of your account statements will suffice). 2) Estimate your current annual income needs by looking at your bank records for the past two months. 3) Ask the advisor what process they use to prepare a customized financial plan for each client. An excellent advisor will listen carefully and ask detailed questions before making any suggestions.